They call themselves The Spring Quartet, and their sound is without a doubt fresh. 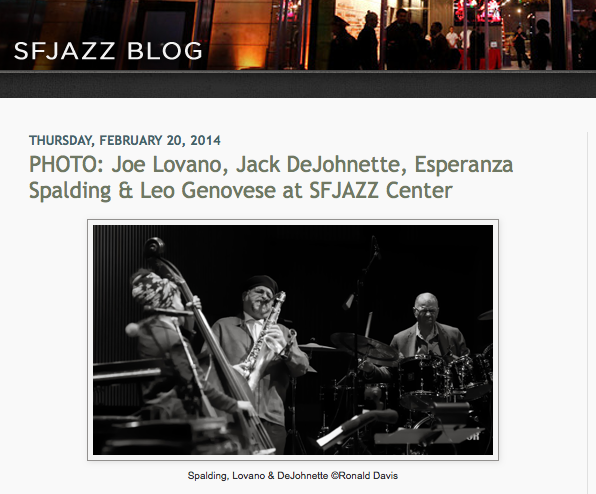 Joe Lovano pulled out an impressive collection of horns and woodwinds. Jack DeJohnette, recently honored as an NEA Jazz Master, was ever youthful in spirit, listening and reacting to his younger bandmates, but still driving the bus. He also whipped out a melodica late into the set, playing countermelody to Lovano's delicate flute melodies.Continue reading here.